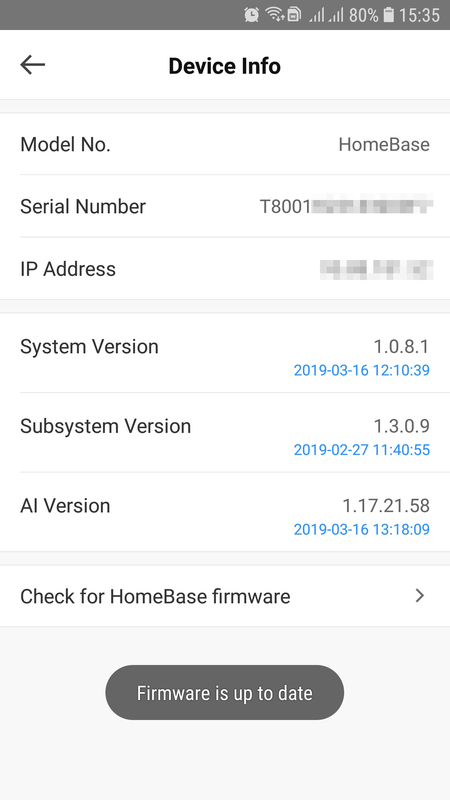 @AnkerSupport: What's new with the firmware update on homebase and cameras? excited to explore and test. @Ice1 We are releasing HomeBase v1.0.7.9 and eufyCam v1.8.0. Please stay tuned. @AnkerSupport what’s the change log for the new firmware please, 1.0.7.9 and v1.8.0 ? My HomeBase is on v1.0.7.9 and eufyCam on v1.8.0 since Feb 23. Wondering what changed. Oh well, wait for official release notes, but when? I wish we know the upgrades before hand. So we know what's coming and take time to explore it. @AnkerSupport I’ve been playing with the new NAS set up procedure in the latest version of the iOS app (1.1.7_202) and camera and Homebase firmware (v1.8.0 and v1.0.7.9 respectively). I have set up both of my cameras to record to my Synology NAS Surveillance Station. It appears that the camera that is triggered first records to NAS fine, but the camera that triggered second doesn’t record to NAS at all. Is this a new bug? Also, there’s a typo in the new app: ‘Micphone’ in Camera Settings. I have now also received the updates. However, have now got a warning message to say the SD card isn't working properly and to restart the homebase or reinsert the card. Restarting the homebase does not seem to be able to fix the issue. Unfortunately, I am not at home so cannot reinsert the card until I get home... which is really helpful for a security device that's purpose is to record video when one is not at home!!! Has anyone else had similar issues with these updates? 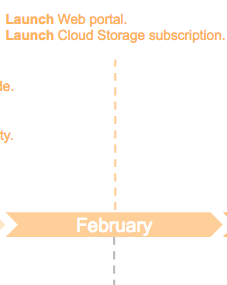 Last day of Feb, Still waiting for the > > Web Portal launch... This would be really handy for most of us. Also, no update on IFTTT? Email us at support@eufylife.com so we can help you with this! Where can i find and read the changelogs about this updates?! May i (and other interested customers) get an answer please eufy, more than two weeks after those software versions have been released!? Thanks! For this update we fixed some known issues and improved stability. New features will be coming soon! Thanks, but don't you think your customers would like to know which know issues are fixed? At least a few lines in here would jave been nice to see what happened exactly. Where can i find and read the changelogs about this update and why aren't they already published before the new firmware is rolled out?! Apparently with new update I could not set the field of motion detection. Was that changed too. The app is up to date too. aren't they already published before the new firmware is rolled out?! @2XS are you sure abt the version? My homebase is updated to 1.0.8.2 yesterday. Eufy ... your comment / opinion / enlightenment / enlightenment about this is ... ? Beside the fact that you are neglected massively the positing of the changelogs since a while!